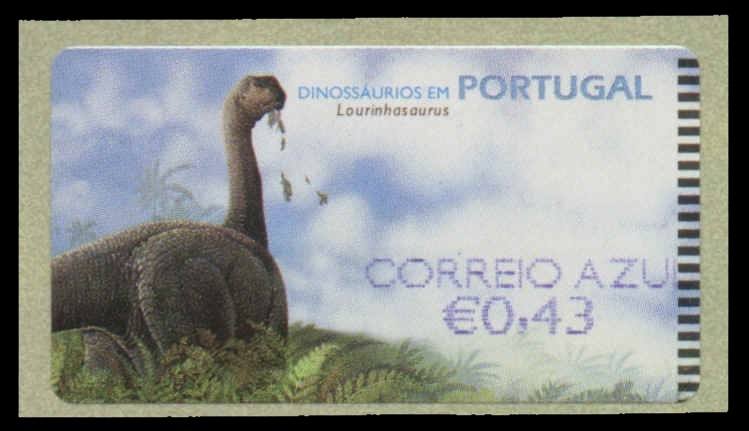 Since November 1999 till March 2002 Post Authority of Portugal issued 3-5 various sets of machine (ATM) stamps per year. 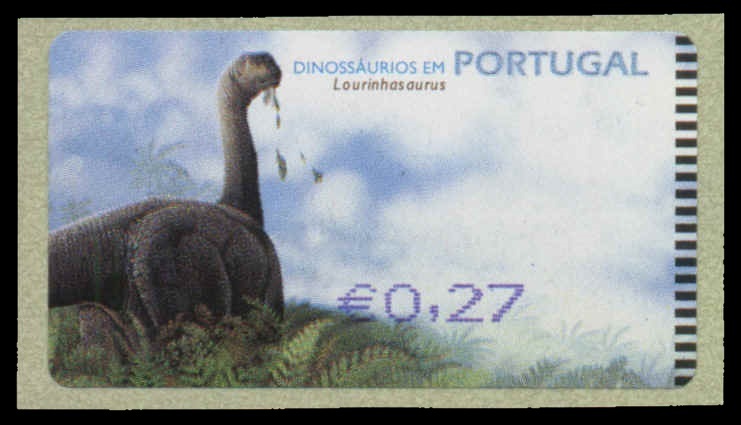 "Dinosaurs of Portugal" stamps are one of them. Four different stamp-template depicted some dinosaurs and their footprints. 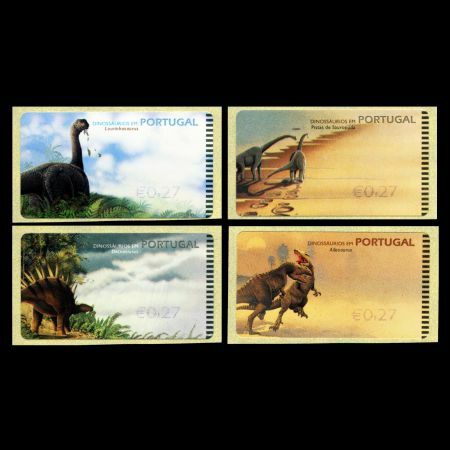 Fossilized remains of all of them as well as their footprints are found in Portugal. In 2002 the dinosaur ATM stamps were on sale in four different machines. AMIEL, SMD and ePost NEWVISION 2000 ( Newvision machine introduced in December 2000) printed stamps with 7 predefined values as in the table below. 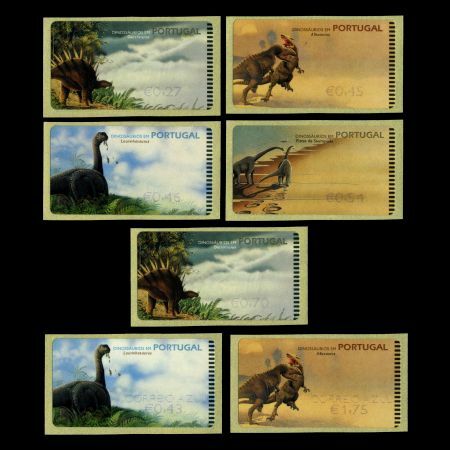 Stamps issued by Amiel machine made bold and large text, some stamps are in black. Stamps of are issued by SMD machine had medium size text on it. 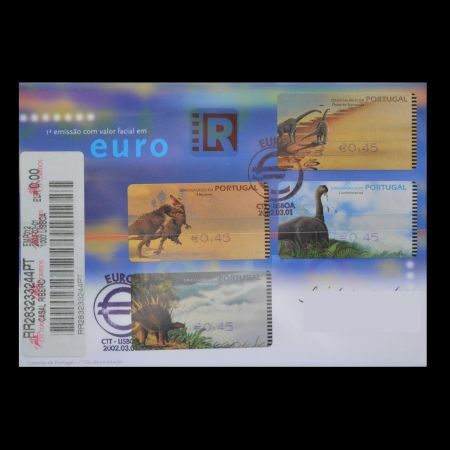 Stamps of are issued by epost-Newvision machine had small size text on it. 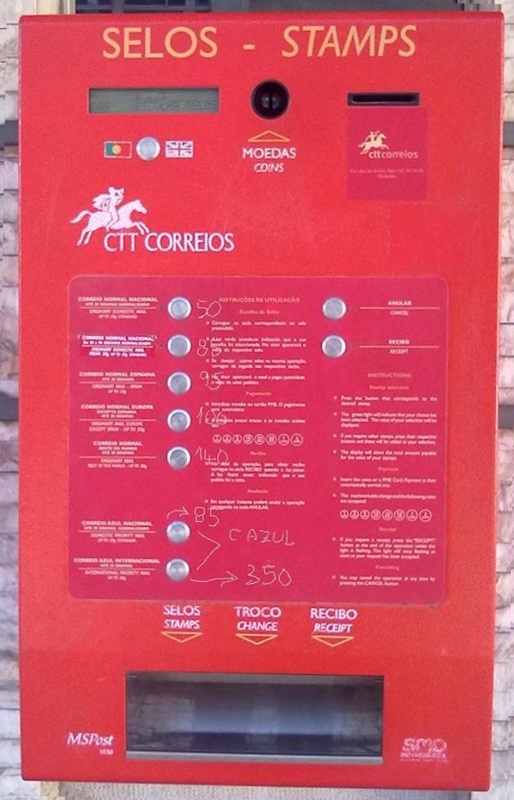 ePost NEWVISION M (Modular) machine, has more than 30 pre-programmed rates for various weight categories. Dinosaur stamps with ePost NEWVISION M values are very rare. Notes: In 2002 some ATM machines used various ink colors, either blue or black (dinosaur stamps with text written in black color are very difficult to find), to print a text on stamps. Related: Portugal 2002 "Examples of circulated covers" Portugal 2000 "Dinosaurs of Portugal" Portugal 1999 "Dinosaurs of Portugal"
Many thanks to fellow stamp collector Vitor Vieira and José Lalanda Jorge from Portugal, for his help to find some information about these stamps and who share scans of some stamps and covers.